Most of us have heard of them, but few of us have seen them. The northern lights are a spectacular natural event and on the bucket lists of many people around the world. 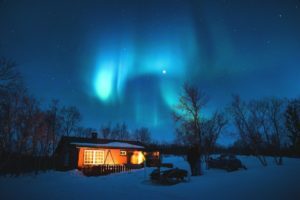 These auroras draw thousands of spectators year after year. This week, our Bucket List Destinations series brings us to some of the world’s best spots to see the Aurora Borealis. The best times of year to view the lights are during clear skies throughout September to April. There are no guarantees of a show, but your best chances are December to February, which give longest night hours. However, autumn and spring usually offer more stable weather systems than the winter months. You may still be in with a chance of seeing aurora activity! We begin in Iceland, home to the world-renowned Eyjafjallajökull volcano amongst many others. The island can be trusted to attract visitors year round, but the winter months boast the added charm of the northern lights. For UK-based travellers, it’s certainly the most convenient and affordable destination. The northern lights are best viewed away from any light pollution, so spend some time in Reykjavik and then head to the country to watch the show. Next, we head to Norway. This land of fjords and dramatic scenery is a picture-perfect setting for the northern lights. Beautiful open spaces and lack of light pollution in northern Norway frame the show in the most ideal way possible. For the rest of your daylight hours, be sure to explore the Lofoten Islands, and don’t miss the polar night in Spitsbergen. Norway can be expensive but is surely worth it for the stunning show you’ll get in return. One of this writer’s personal bucket list destinations is Saariselka in northern Finland. 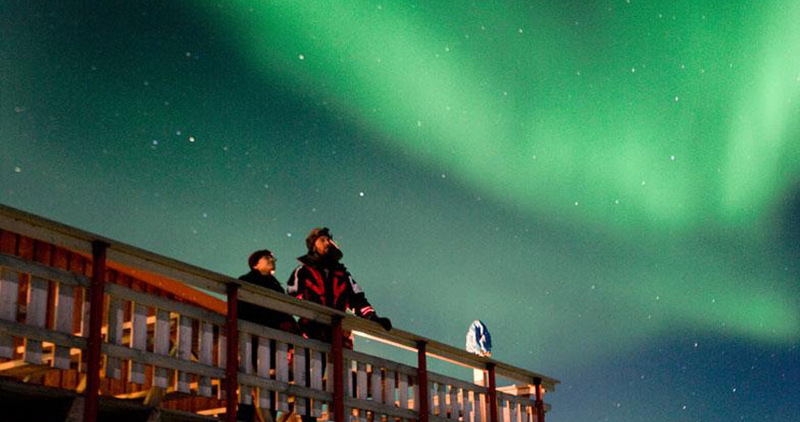 This incredible location not only offers a marvellous northern lights experience but one of the world’s most enchanting destinations: Kakslauttanen Arctic Resort. Its Kelo-Glass igloos provide the warmth of a log cabin and a bedroom with a glass roof—perfect for snuggling up with your loved one and watching the sky light up in green, pink, yellow, blue, and violet. Further afield, we look to Canada. Some of the country’s Northern provinces extend into the Arctic Circle itself. Visit the stark beauty of the wild Yukon Territory and find yourself fascinated by the town of Whitehorse. Go spotting for caribou and moose. Even take a trek into the Rocky Mountains! And at the end of it all, the northern lights will be there to welcome you back to the snowy night-time. Best enjoyed with a mug of hot chocolate! Finally, we come to the Wilderness State itself: Alaska. This state guarantees fantastic winter adventures found few places elsewhere: dog sledding, ice skating, and snow-shoeing are amongst the wintry delights on offer. Once you’ve had your fill of the northern lights (if that’s possible), don’t forget about everything else there is to see and do. Discover the legendary Alaska Railroad for yourself. Perhaps take a dip in the hot springs at Chena Hot Springs Resort! 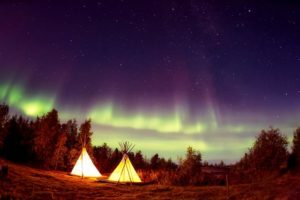 You can even head into the Arctic Circle to a remote camp beneath the auroral oval itself. If you envision your next holiday—or every holiday—surrounded by snowy beauty and capped off by the northern lights, we can help! Contact our Buying Team, all of whom are on hand to make your next timeshare purchase as painless as possible. Or perhaps it’s time to pass the torch to the next generation of light chasers? If so, our Selling Team are at the ready with twenty-five years of industry experience. We make it simple to sell your timeshare!